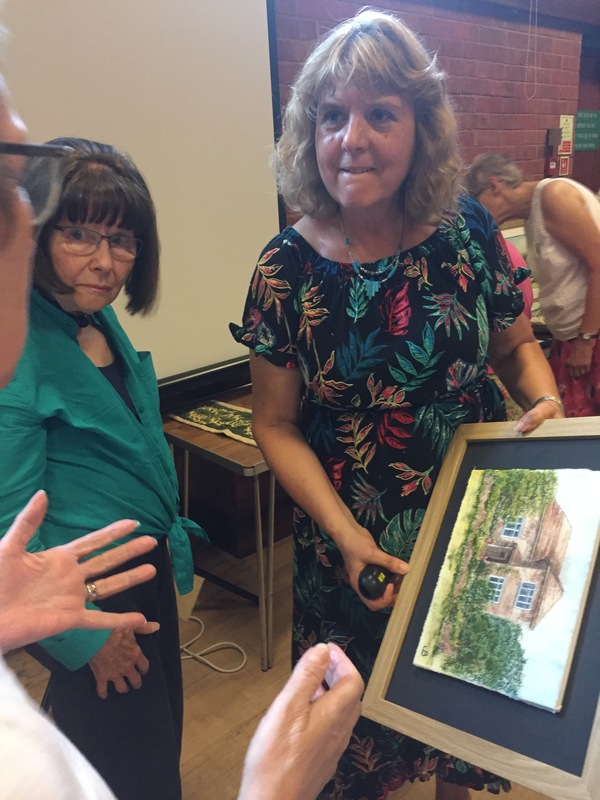 At our July meeting Julia Brown gave a talk about her route into machine embroidery. She grew up in a sewing family with mother and grandmother supporting her as she developed her skills. As a result of this she developed a wedding dress business alongside her degree in Geography. Art was always important to her. 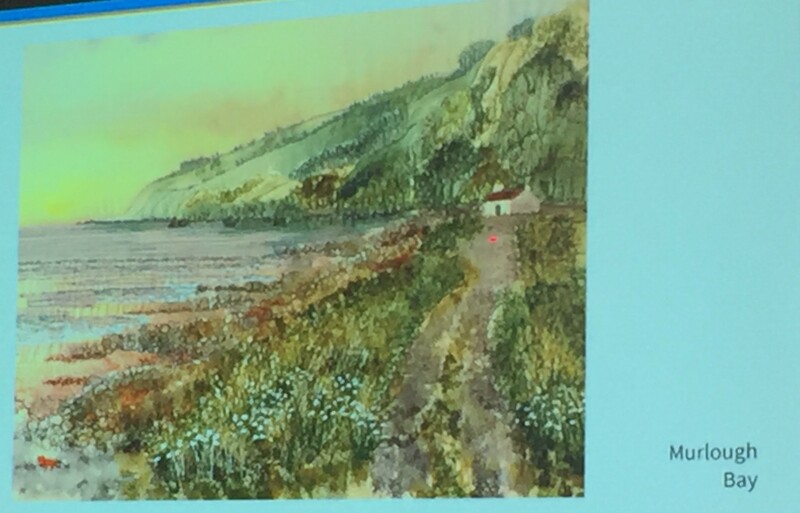 She has a strong sense of place especially of the south coast and surrounds, where she lives. She starts with neutral textiles and her art training has helped with her colouring of these. 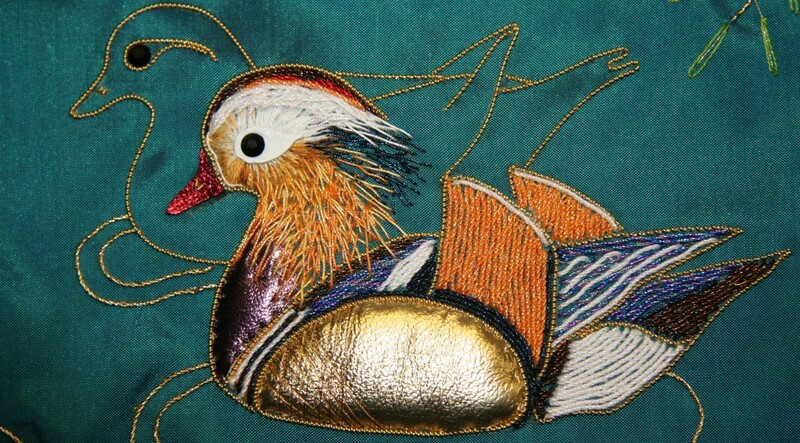 All of these elements together with encouragement in free machine embroidery have led to her landscapes of today. 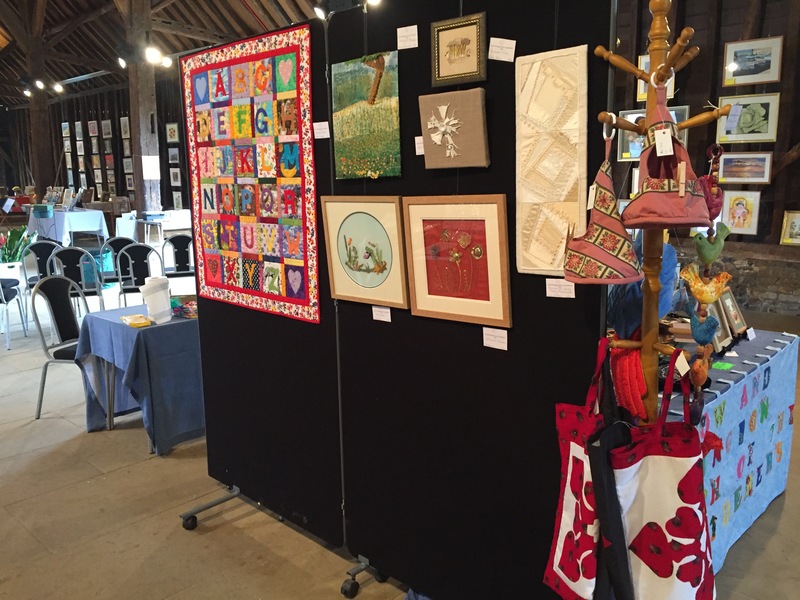 The Harrow and Hillingdon Branch of the Embroiderers’ Guild took part in a combined arts exhibition. 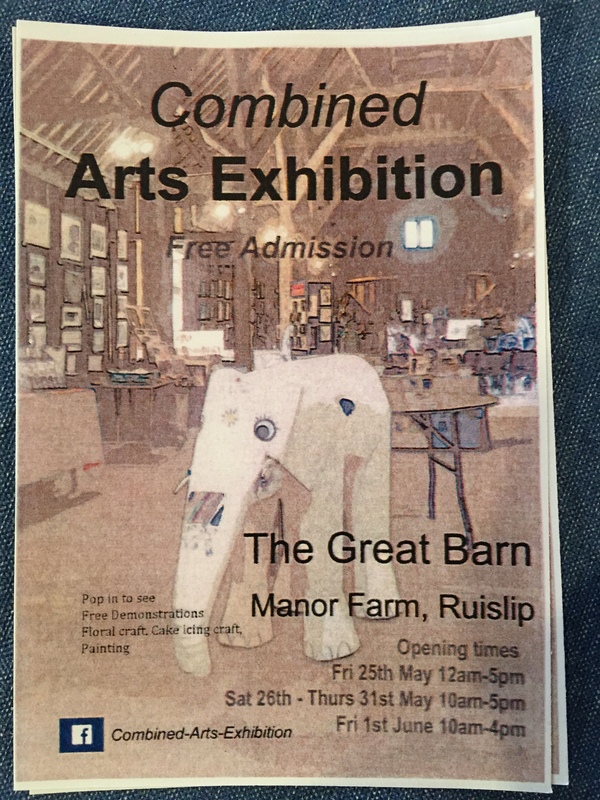 We exhibited a good variety of work and had small items for sale. 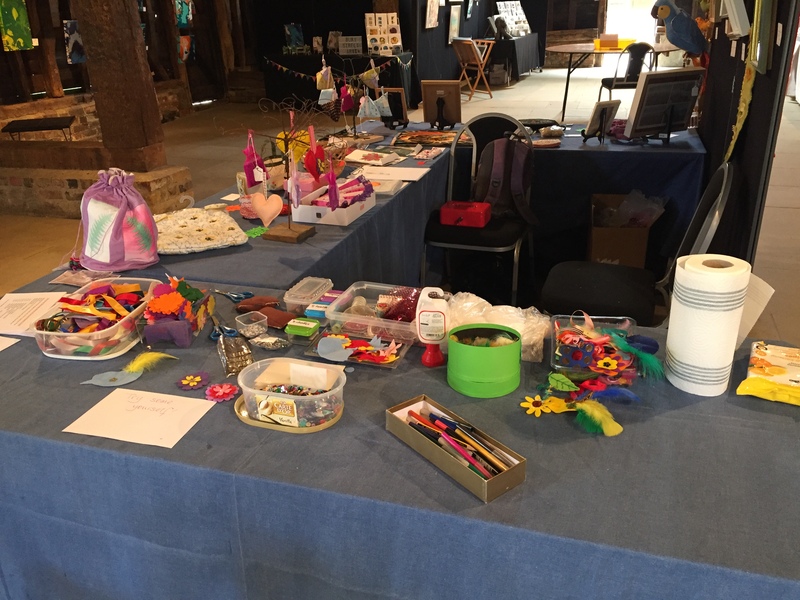 There was also an area for children in which they could make and decorate items for a tree such as birds and hearts as well as make badges and brooches. 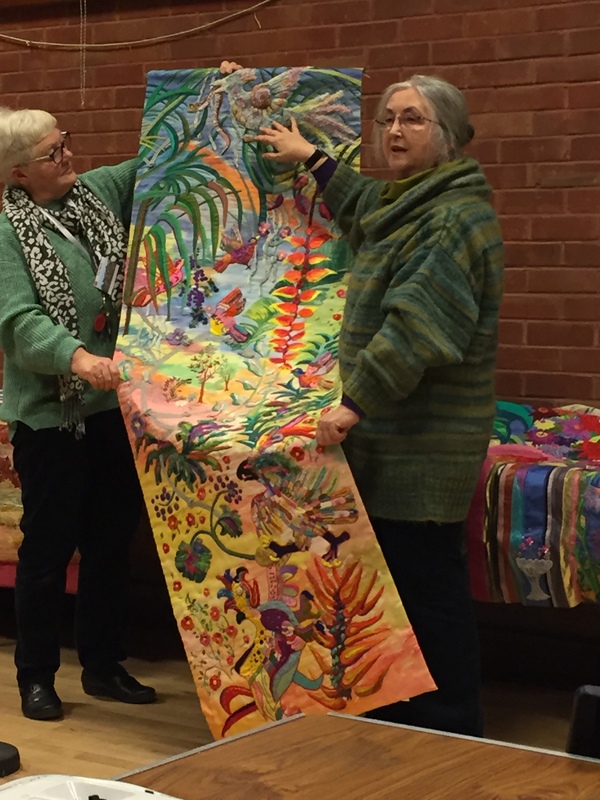 In April Louise gave us a fascinating talk outlining her inspiration through different stages of her life. 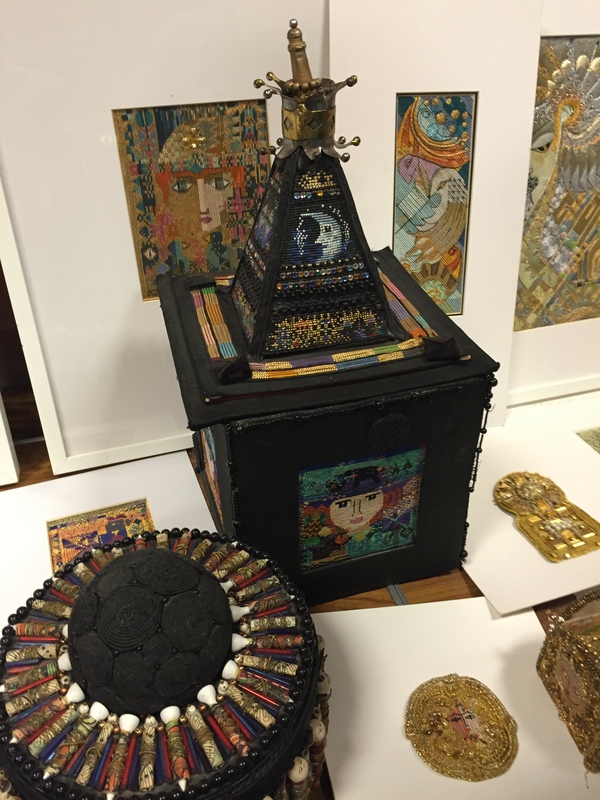 She brought so many pieces for us to see and to illustrate her talk. She uses every scrap of fabric. 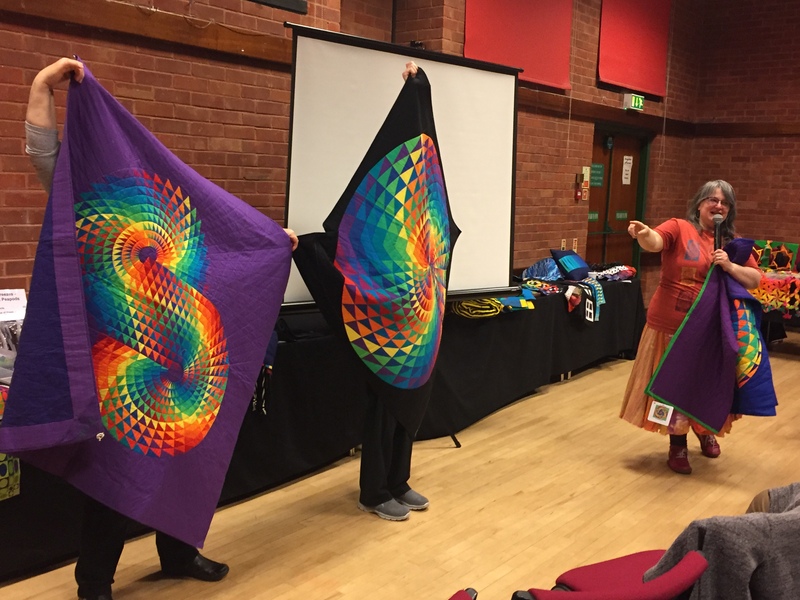 Louise is renowned for folding and manipulating fabric and has published a book on these techniques with one of our members – Wendy Lowes. 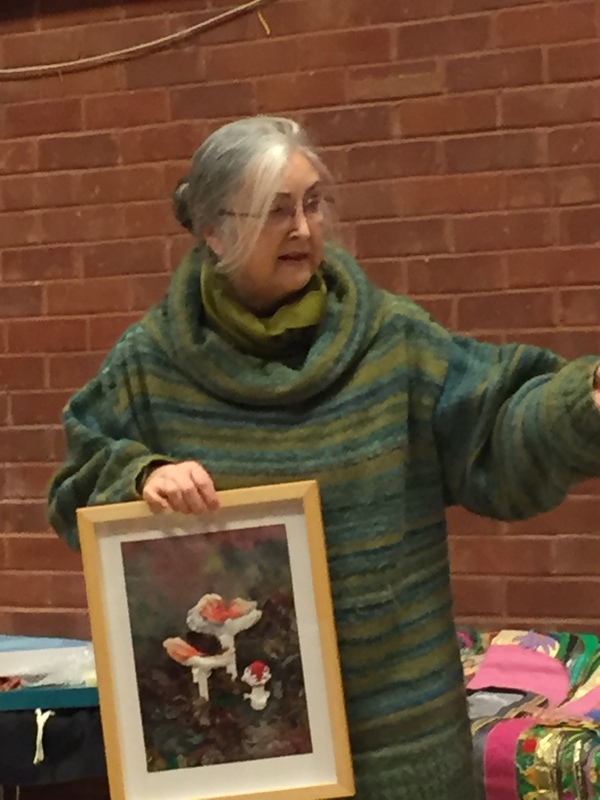 In February Janice Lawrence gave us a talk called a Journey Through Threads and Patches. 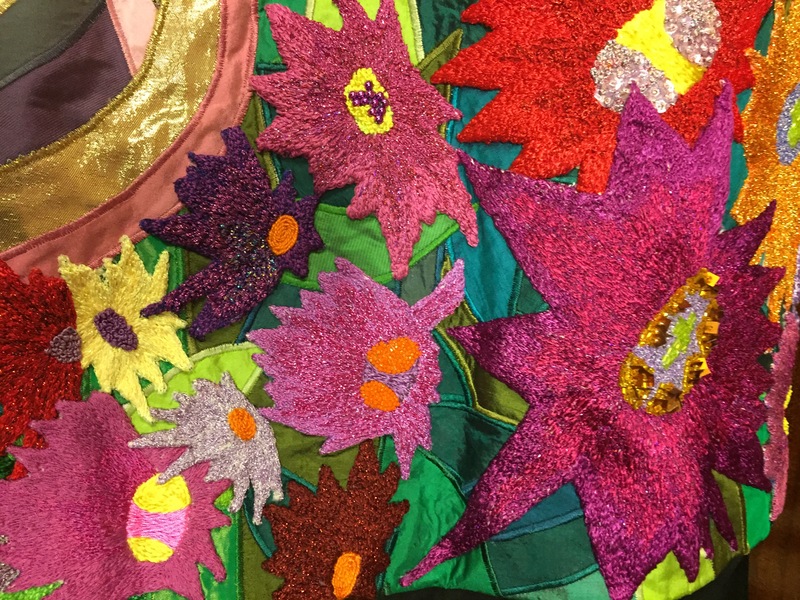 It outlined her way into embroidery and how she has made it such an important part of her life. Janice grew up in a family of stitchers. Her mother, grandmother and aunt all embroidered, knitted, crocheted and made garments for themselves and each other. 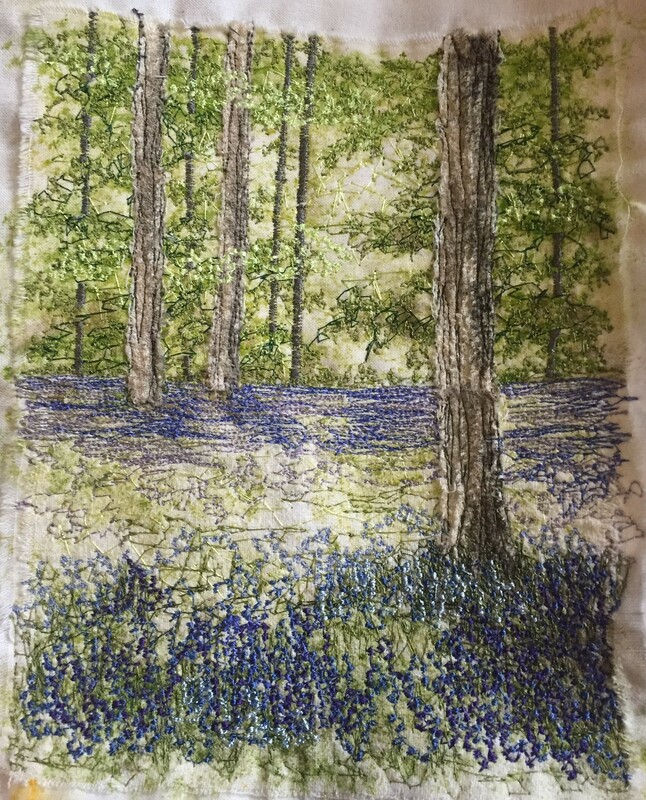 Whilst studying for a degree in geography at the London School of Economics an embroidery exhibition at All Hallows, London Wall inspired her to pursue a modern approach to stitch. After her degree she worked in the National Art Library and joined a part time embroidery course at the London College of Fashion .The latter led to C&G certificates parts I & II with distinction. 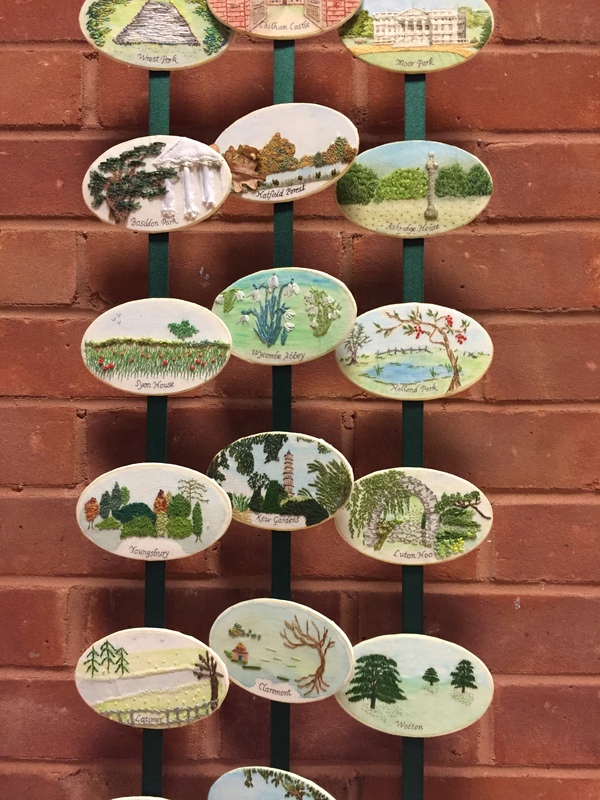 Janice has exhibited widely in the UK and has commissioned work in churches in S.E England. Her work has appeared in various books and magazines. 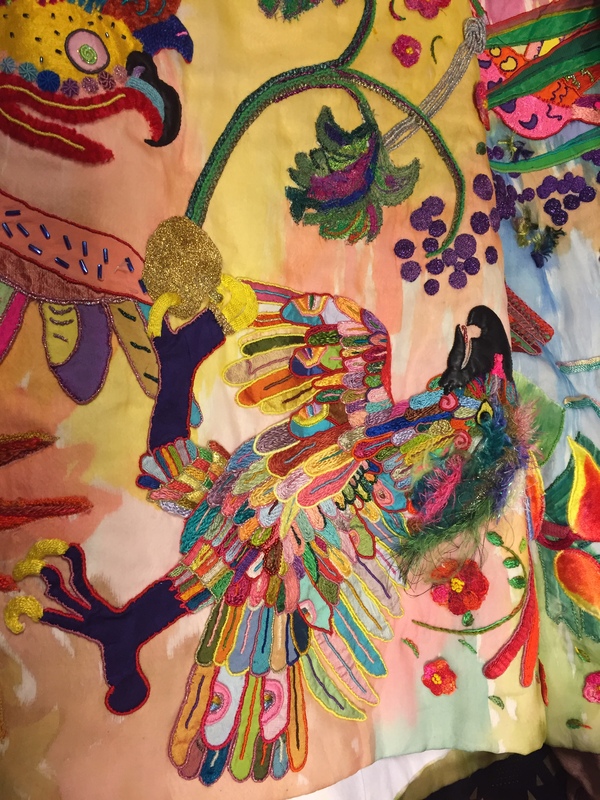 She is widely travelled, favouring South America, where vibrant colours and pre-Columbian imagery informs some of her textiles. The icy worlds of the Arctic and Antarctica, with their fragile environments, influence the design of cool textile landscapes and panels focussing on the plight of polar bears. 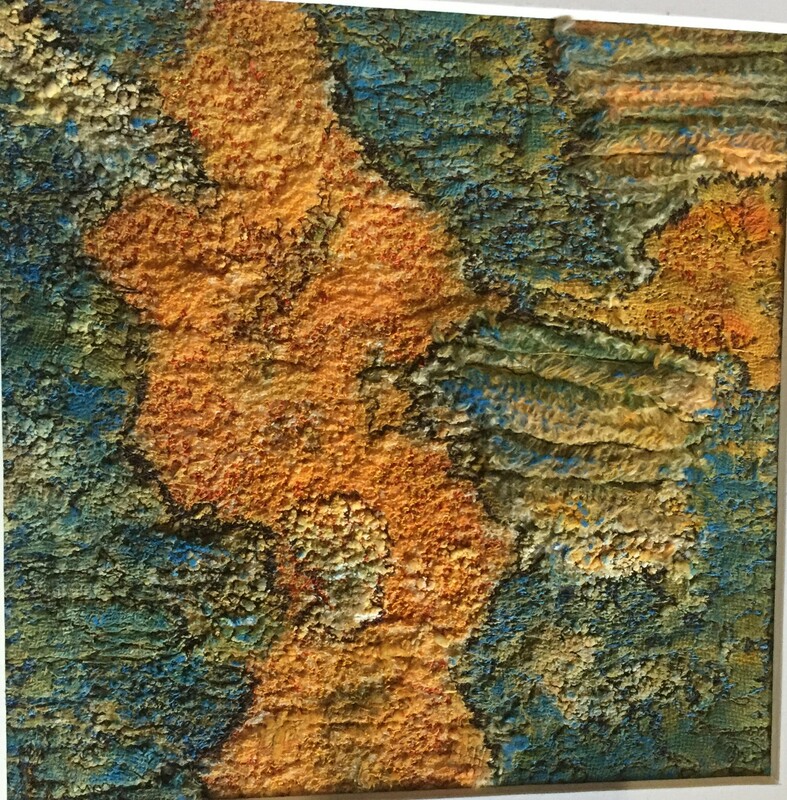 She enjoys hand and machine stitch – choosing what she feels is right for a particular project. Sometimes her materials are traditional, at other times plastics and sweet papers help tell a story. 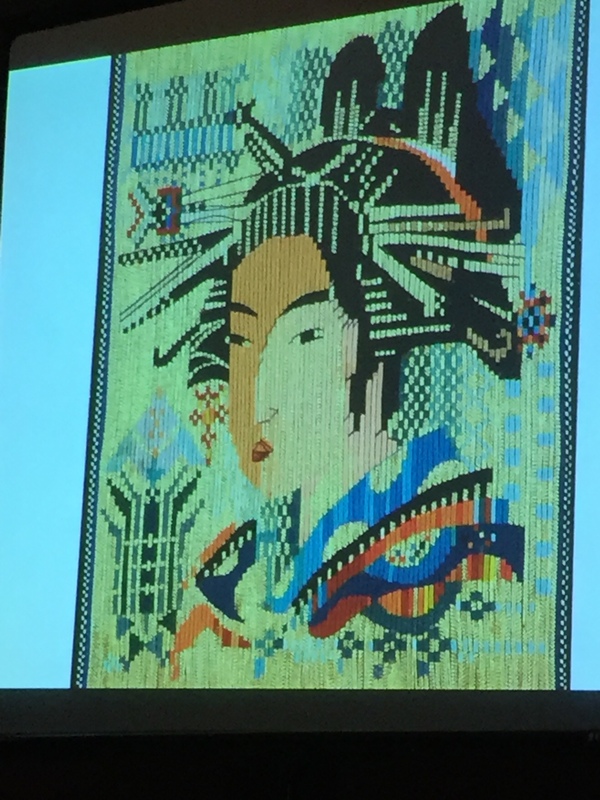 She was struck with a passion for textiles. 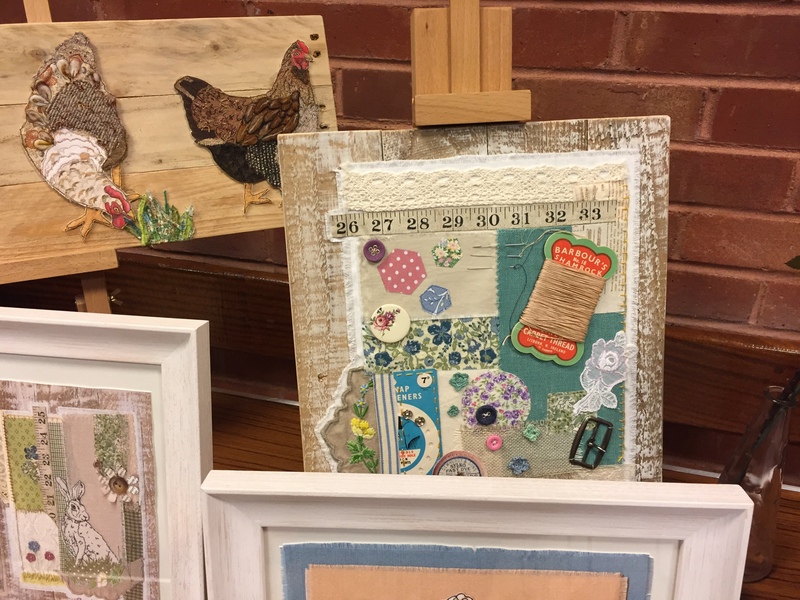 So having developed her freehand machine embroidery, applique and many other textile techniques, she now combines them to make original, mixed media textile art pieces, inspired by the beauty in everyday objects and vintage. 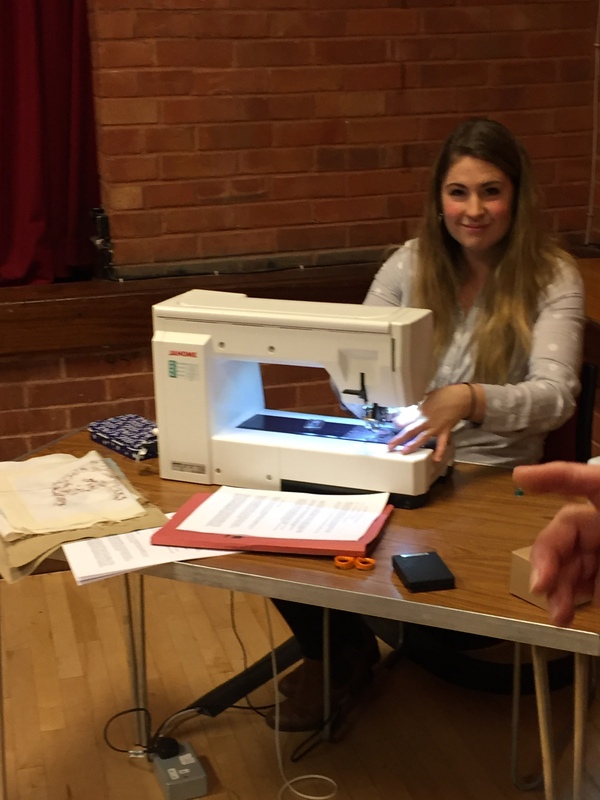 Katie runs private Freehand Machine Embroidery and Applique Workshops. 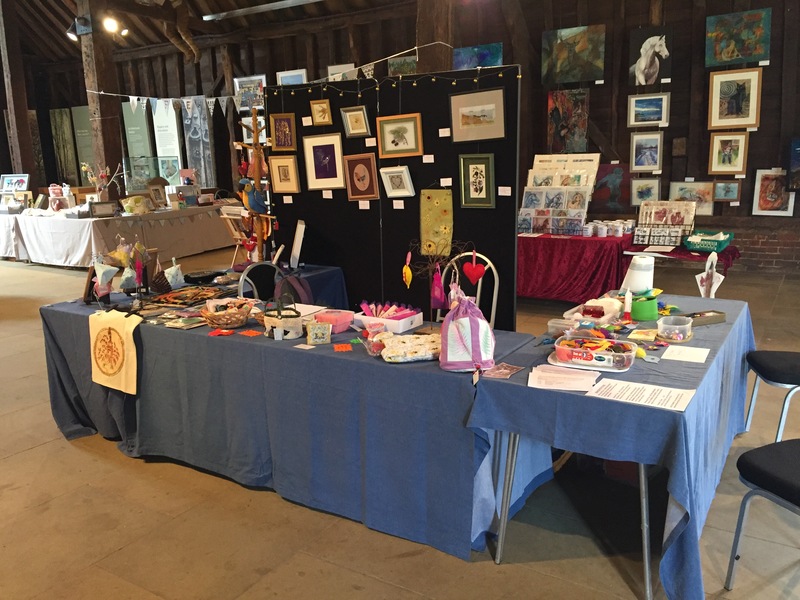 She especially loves making commissions for my customers, taking an image which is special to them, or a personal photo, of family, pets, and houses, giving them an original, tailored made piece of textile art. 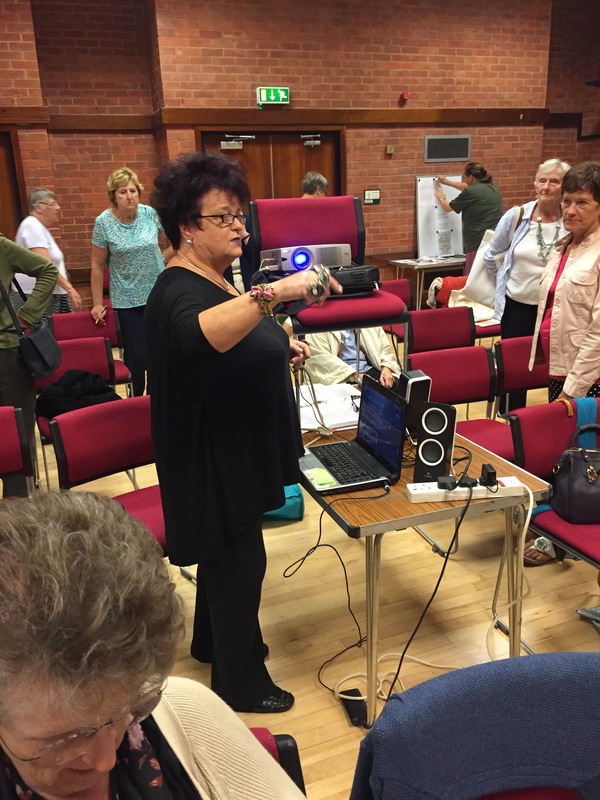 Anthea Godfrey joined us in September 2016 and showed us a film on the life of her mother Margaret Nicholson. It was helpful background and indicated the importance of family to her. 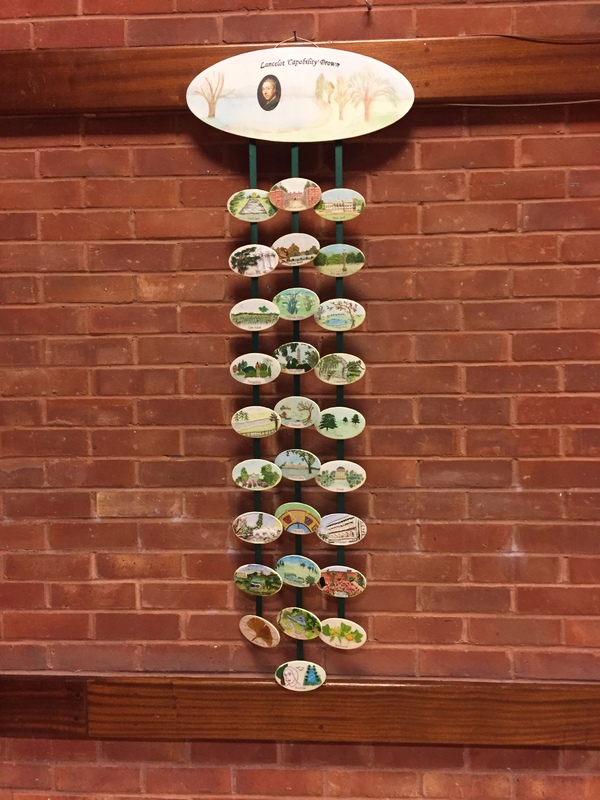 Anthea also brought us a lot of Margarets work to see which was stunning and the photographs don’t do justice to the depth of the work.